Getting around in Plano, especially when you are on vacation or visit with a large group, could be a challenge. Using charter bus Plano, TX for your group transportation will be your solution. Contact our customer care team for more information (214) 206-9269. Before you could ever enjoy your trip, you will have to worry about safety, account the number of people in your group and think about public transport rates and schedules. With our service, we will make sure your trip goes smoothly. Why Choose Charter Bus Plano? Plano charter buses are among the most luxurious and relaxing travel experience you will ever have. It is simply sitting back, relaxing and even sleeping as you move from one tourist destination to another. You will be surrounded by comfort: comfortable and reclining seats, top of the line air conditioning and amazing audio and video facilities and even Wi-Fi. You can also keep your mind off safety since you will be in the hands of a professional and experienced driver who could also become your trusty tour guide. Do You Have Different Types of Charter Bus Rentals? 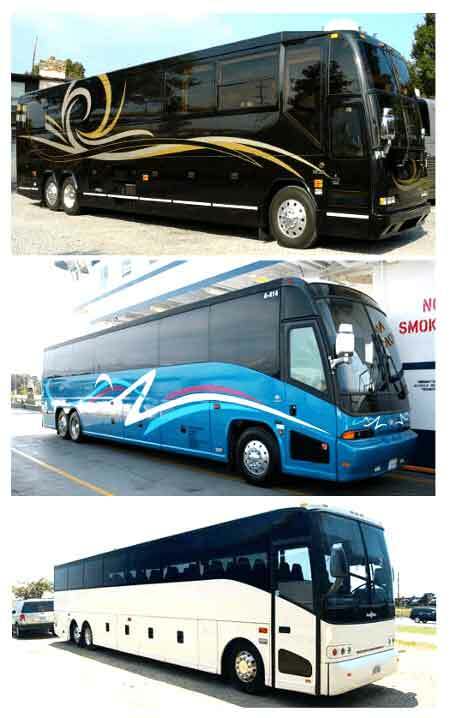 There are a variety of charter bus rental service vehicles to choose from. You can choose from a minibus, a shuttle bus or a charter bus as your ride. A minibus could hold up to 20 people, a shuttle bus up to 30 passengers while a charter bus is able to accommodate from 40 to 50 people. We are now offering party bus rentals in Plano! Arbor Hills Nature Preserve – enjoy nature in this little oasis in the middle of Plano. You can enjoy hiking, walking and jogging in the area’s many trails. If you are looking for fresh air and a completely different experience from the usual busy city destinations then this is it. Heritage Farmstead Museum – this is a fun family place where you can find adorable farm animals on display for petting and feeding. You can guarantee that little kids will love to visit this farm again and again when you comeback in Plano. The Main Event – get unlimited laser tag activity when you sign up. You will have lots of fun for the whole family or with your friends. Taverna Rossa – Craft Pizza and Beer – this is where you can find the most delectable pizza as well as the most delightful beers. Locals love to visit this place to meet and to have good food. Rates could be according to the type of us you want to rent, the number of people that you have in your group, the destination that you wish to visit and the number of days that you want to rent the charter bus. It is recommended to call beforehand to find out more about their discounted rates. Service areas include Addison, Arlington, Balch Springs, Carrollton, Farmers Branch Dallas, Duncanville, Houston, Highland Hills, Richardson, Rowlett and University Park, TX. More vehicles can be seen at limousines in Plano!